The first volume analyses the most significant aspects of this delicate phase in the life of a woman and a couple, which leads from the start of pregnancy to the birth of a child. It aims to improve understanding of the process involved when becoming parents and facing the fears of procreation. 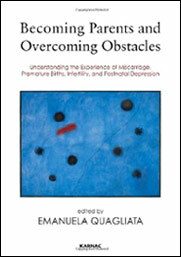 The first chapters introduce the themes of pregnancy and the first year of life of the child; in subsequent volumes some particular problems of this phase are examined in more detail and proposals are made on how to intervene. This second volume first outlines the complex process by which the role of parents is learned; it then discusses how the relationship between parents and children can affect the growth of self-confidence in children. Childhood aggressiveness is examined and its role in development, and also the consequences of the separation of parents. Much space is given to the father and to the recent transformation of his role in the family equilibrium. 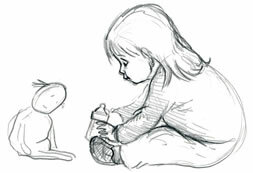 The third volume examines the relationship between siblings, including twins, and shows the importance of these relationships when bringing up children. Is it inevitable that the birth of a brother or sister is experienced as a catastrophe, with feelings of rivalry and jealousy? 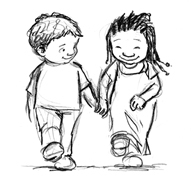 What can parents do to promote a positive relationship between brothers and sisters? 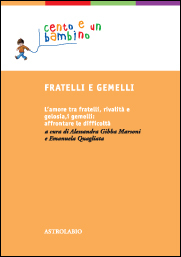 The book highlights the role of brotherly love, which enriches the emotional development of the child, but also offers strategies to face the explosive dynamics sometimes triggered within the family. The fourth volume looks more deeply at some issues regarding the positive and negative emotions that emerge with adoption. What does it mean to adopt a child? To make space for somebody else’s child, who has had painful experiences and often suffered trauma? What does it mean for a child to be separated from their original family and, sometimes, to interrupt contacts with their country of birth? What difficulties can they meet at school? 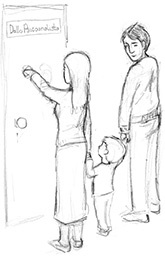 The book explores how new relationships and affection within the family can be created. 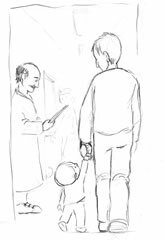 The fifth volume of the series explores the diverse aspects of interaction between school and family, looking at young and older children and the obstacles in their growth. 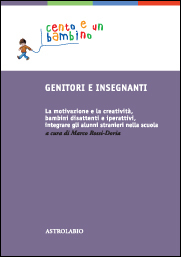 Difficulties with learning, motivation, creativity, lack of attention and hyperactivity are all dealt with and also the current problem of multicultural classes, especially in the light of the new Italian scenario, which has changed so quickly in the course of the last few generations. 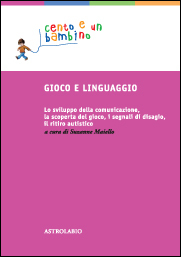 The sixth volume deals with decisive, correlated factors in the growth of the child: the development of verbal language and play, which also has intense communicative value. 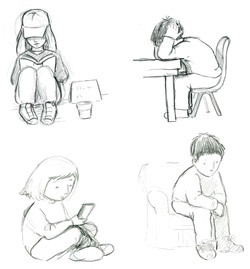 These fundamental activities do not always emerge spontaneously between parents and children, and some children show signs of isolation, sometimes risking autistic withdrawal. This volume offers information and insight to help parents establish a good relationship with their own children. The seventh volume examines psychosomatic illnesses, as well as anxiety problems and panic attacks. 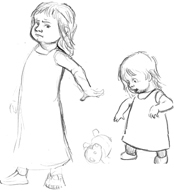 Fear, anguish, anger, upsets are often not understood or expressed by children, and therefore their body speaks about this via the symptom of the problems. Even problems connected to sleep and eating sometimes hide other forms of suffering. In the collaboration between paediatrician, psychotherapist, child and parents, it is possible to put in words emotions and difficulties in order to accompany the child to a positive outcome. This volume analyses the situation of a relative getting seriously ill or dying: be it a parent or a child. 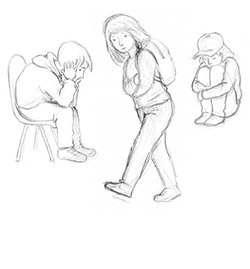 Often the actual adults are destroyed by pain and by fatigue, they do not have enough resources to deal with children. It is not easy to support a child in his/her anguish; it is not easy to give him/her a possibility to express his/her fears, their questions may not have some kind of explanation and reassurance in return. It is always better to involve the children in mourning rather than excluding them, in order to give them a possibility to understand and therefore work through the loss. 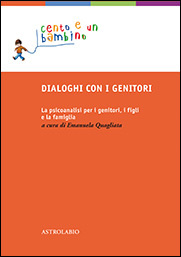 Parents are the real main focus of this ninth volume; we can see how a dialogue with a psychoanalyst can help them to interpret misunderstandings and conflicts. 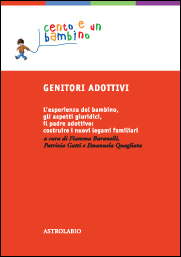 This volume takes various age groups into consideration, from the first interactions between parents and child in intra uterine life to the first years of life, all the way to adolescence, without leaving out the parental couple and the individual development of each parent. 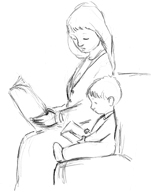 The volume is also aimed at professionals, offering them useful stimulus for work with couples of parents who have difficulties understanding their own children. 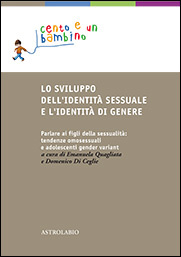 The subject of identity formation in the child and in the adolescent is analysed in the tenth volume of the series in a variety of directions: sexuality of children from a psychoanalytical point of view; the development of a separate identity, the contribution of father and mother to this process; the accepting of children and adolescents with gender variant behaviour by the parents; development of (homo) sexual orientation and gender identity in adolescence, and the moment of coming out. 'When a caterpillar is about to become a butterfly it goes through a truly hard time'. With these words a grandmother tried to console her thirteen years old niece who was going through a difficult period in her life: puberty. For a period of time which goes from middle school until the end of high school, a deep process of renegotiation of the adolescent way of being occur and this brings about a deep tension between the wish to change and the opposite thrust to maintain the previous way of relating to oneself and to others. 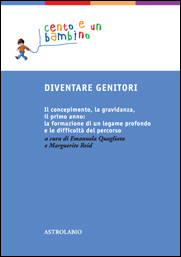 The grandmother's metaphor expresses a synthesis of the various unavoidable changes which occur during puberty. The world is no longer the one he/she knew and it will not be the same anymore. This complex set of changes generate deep fears and anxieties which the adolescent tries to deal with by setting up defence strategies against the sense of powerlessness and inadequacy. 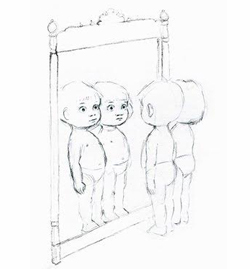 The book addresses the meaning of this moment of crisis at puberty and adolescence and the choice of defensive strategies: a particular symptom, isolation, self harm, eating disorders or delinquent behaviour aimed at maintaining a relative sense of security. 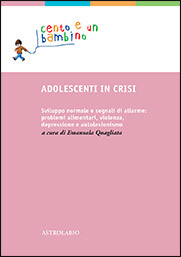 The book could be also titled 'Adolescents and parents in crisis' because these phases of pain and suffering which the adolescent goes through do have a strong impact on the emotional state of the parents and on the equilibrium of the whole family. This volume wants to propose a reflection from a psychoanalytical perspective on these moments of crisis and on how to help parents, teachers, professionals to give them a meaning and deal with them. 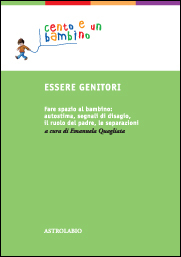 The aim of this volume is to help parents to understand what kind of psychological help is needed for their child. What is the difference between a child psychiatrist, a psychoanalyst, a psychologist, when to choose a family therapist and what the speech therapist or occupational therapist do. 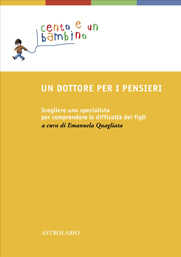 The book doesn't look into the various kinds of therapeutic approaches but it focuses on the enrichness and importance of the interdisciplinary collaboration between the child analyst and other professionals.